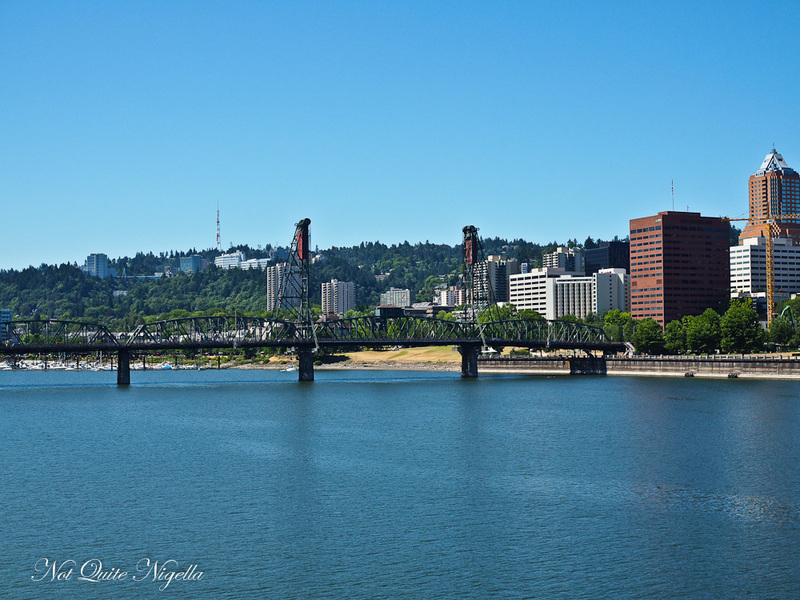 Portland is a neighbourhood city where much of the action are in the five "quadrants" (yes there are five, not four NE, SE, NW, SW and North) the city is split into east and west by the Willamette River and north and south by the Burnside Bridge. Today we venture to the Central South East side, a dynamic and up and coming area to sample what the area has to offer. 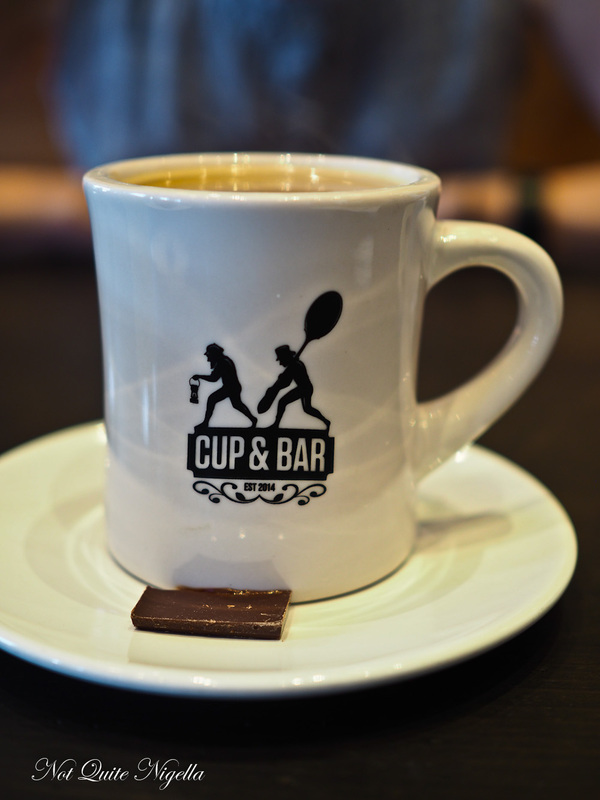 We start at breakfast at Cup and Bar-the cup referred to is coffee while the bar is a chocolate bar. 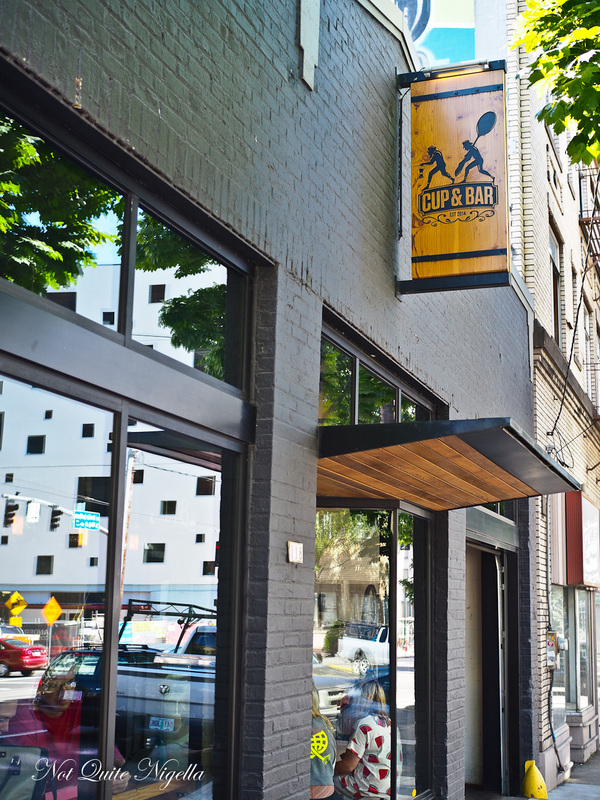 Cup and Bar is the combination of two complementary businesses of coffee (Trailhead Coffee Roasters) and chocolate (Ranger chocolate). And the most popular drink item features that combination. 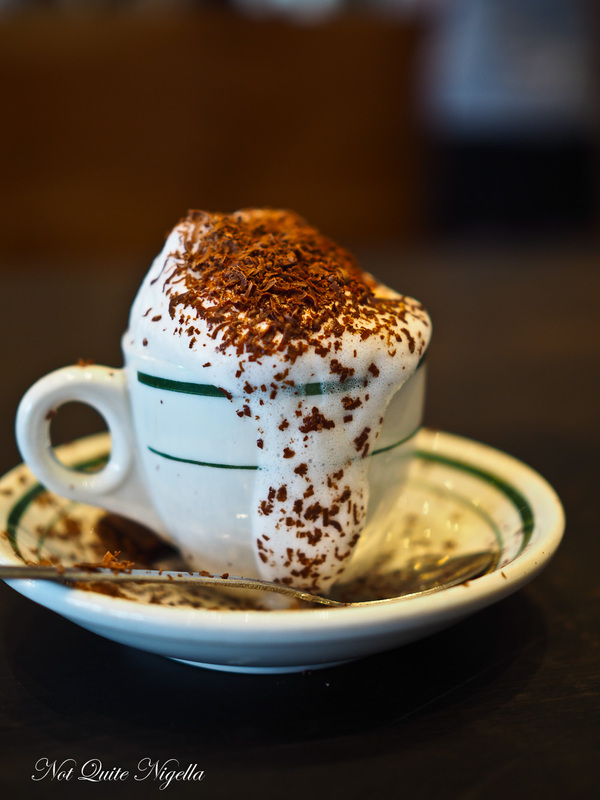 It's called the Dirty Charlie and is a sip sized cup of mocha using Trailhead Coffee Roasters' coffee with Ranger chocolate grated on top. 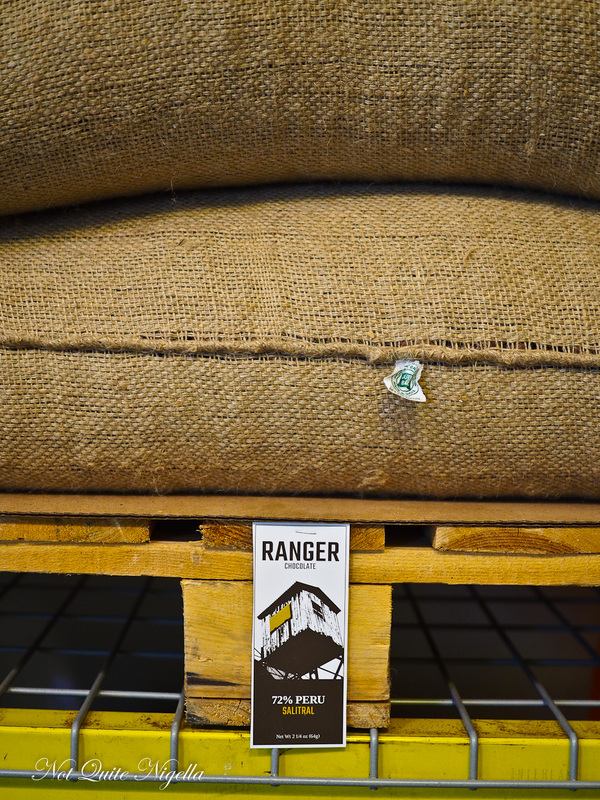 All hot beverages are served with a piece of Ranger chocolate, a dark, fruity number. 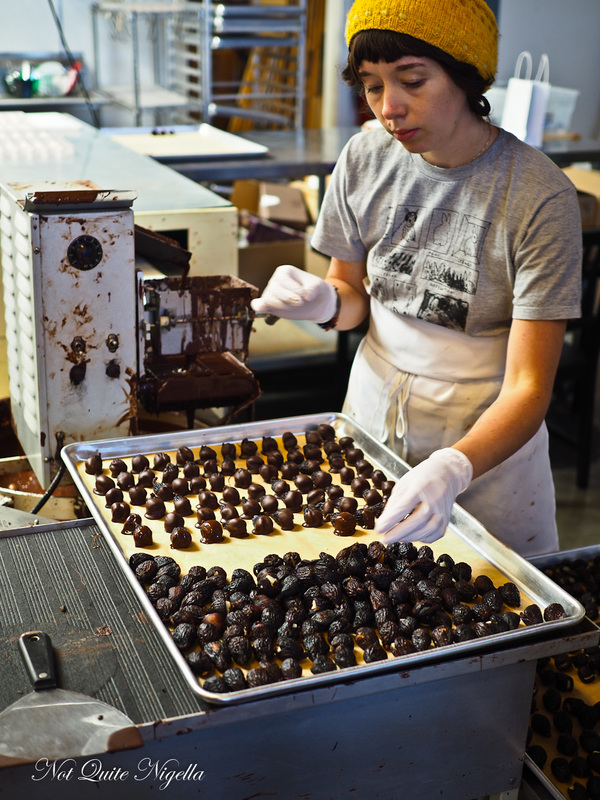 In Portland, bean to bar chocolate is a big thing. Ranger started off with a lot of experimentation between the four founders in a garage. Their cacao beans are mostly from Latin and South America, all fair trade and ethically sourced, and they bring the 5.5 tonnes of cacao into their factory where they sort the beans from rocks, peanuts and feathers and then roast them in a convection oven before grinding them. 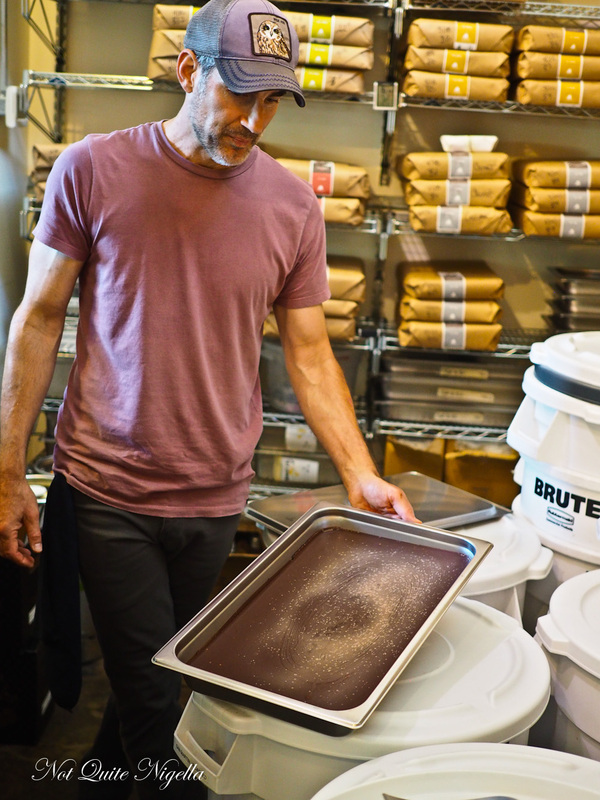 Patrick Zender, one of Ranger's four founders says the key to Ranger's chocolate is the careful level of roasting to preserve the original flavour of the cacao which brings out a fruity flavour to their chocolate. The only ingredients in their chocolate are cacao and sugar, there is no extra cacao butter added to the final product. Each chocolate is then hand wrapped. To taste chocolate he instructs us to bite the piece in half to see the snap and then allow it to melt on the tongue. It is then the second half of the piece that determines the flavour of the chocolate as the preceding food can influence how you taste chocolate. They are also tinkering with the process of ageing chocolate and blooming chocolate on purpose to separate the cocoa butter, usually considered undesirable. He tells us that this is a trend among chocolatiers who do this as they find the flavours more pronounced and developed. Back outside the factory at the cafe brunch is in full swing. A couple of women are swapping a CSA basket, pulling apart bunches of turnips and splitting snow peas. 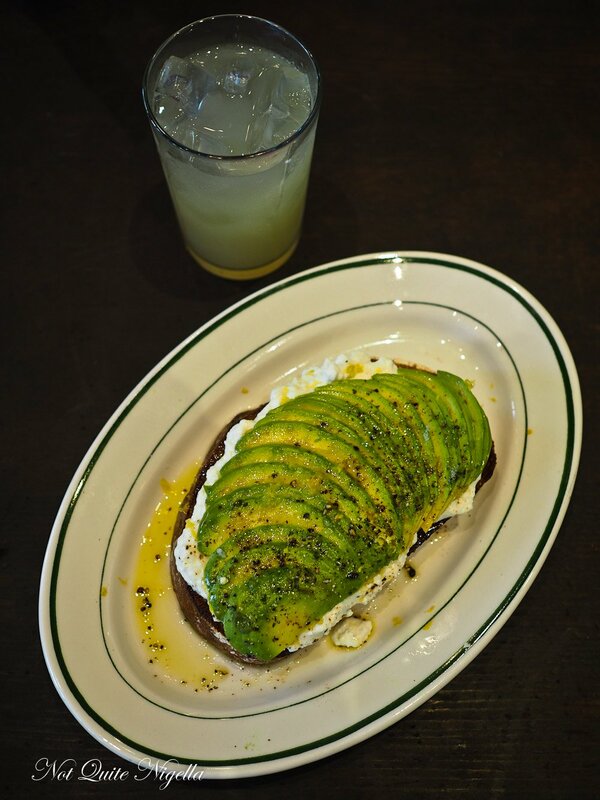 The most popular breakfast is something very familiar to Australians-avocado on toast. We had to order it just to see what they were doing to it (it's nice but it is really just avocado on toast with cheese and olive oil). The Dirty Charlie is delicious and we love the bonus chocolate while the house made lemonade is refreshing. 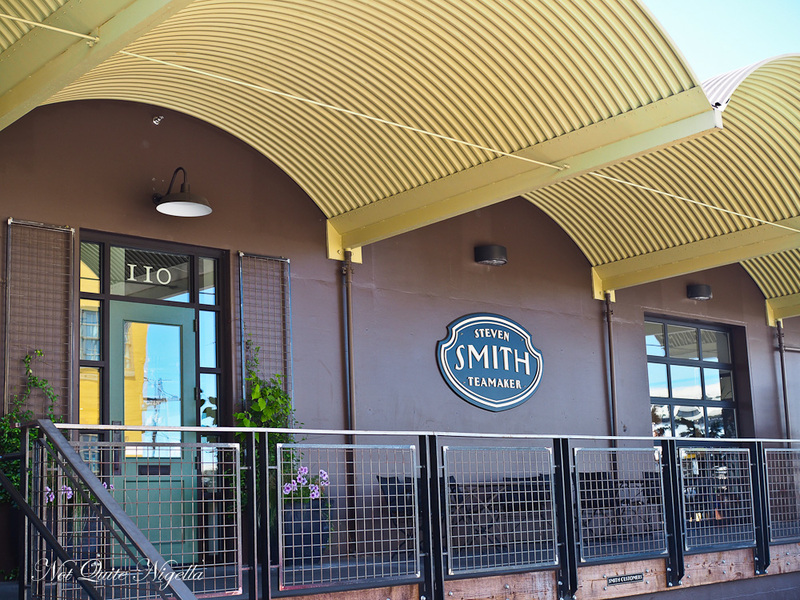 After shaking the crumbs off we make our way to the Big Foody's Central East Side tour which starts at Smith Teamaker. Laura Morgan's Big Foody tour is based around this area for a reason. Many of Portland's favourite brands have opened in this light industrial area and have factories because they are legally required to. 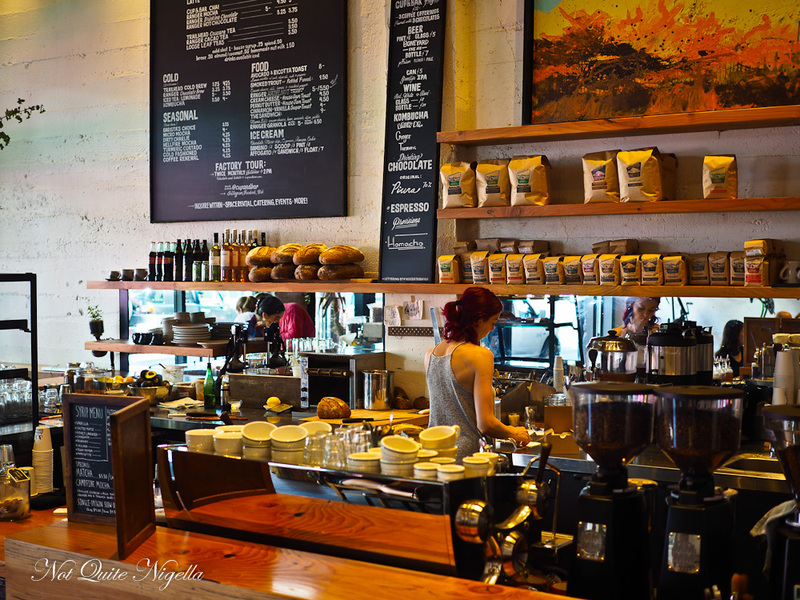 In many cases the focus is mainly on the eatery part of the business. 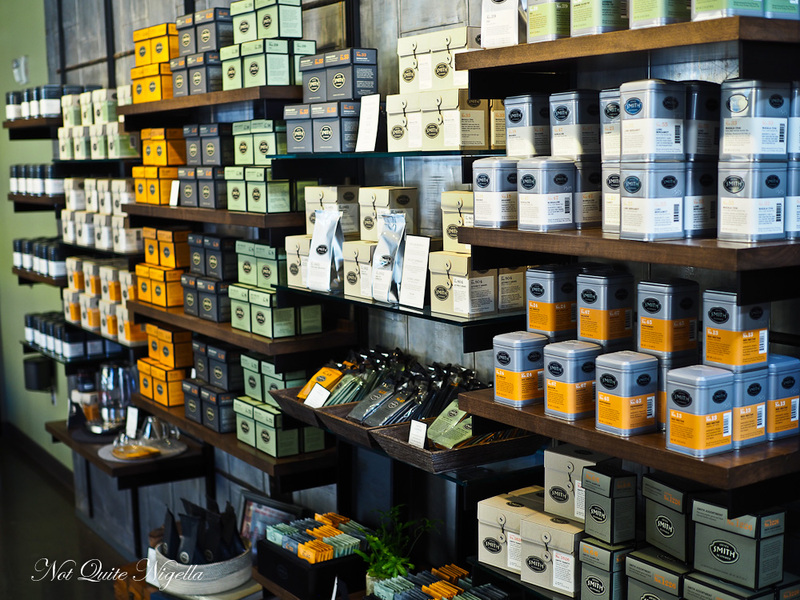 If you haven't heard of Smith Teamakers perhaps you are more familiar with Stash or Tazo teas. 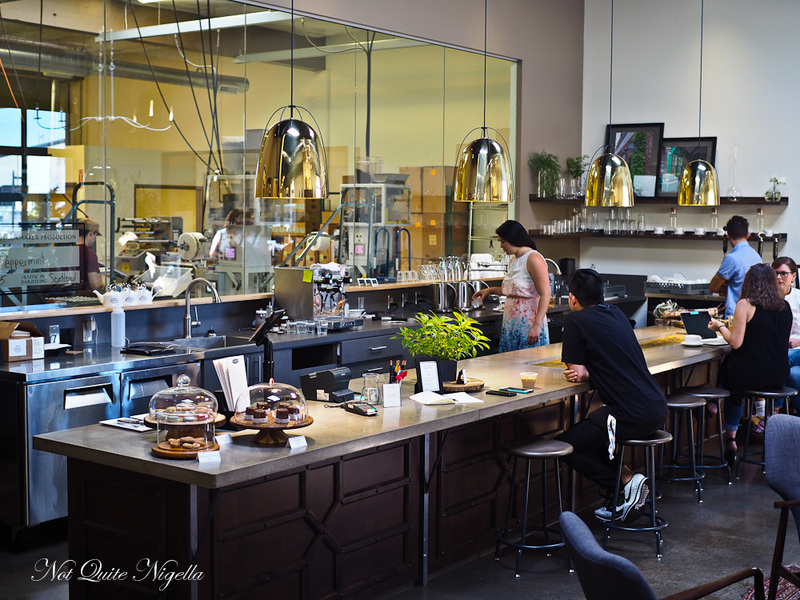 They were both the creations of the late Portland-born tea master Steve Smith. His post Stash and Tazo business is Smith Teamakers on SE Washington and there they have an interesting range of teas which is nice to see in what seems like a very coffee obsessed country. 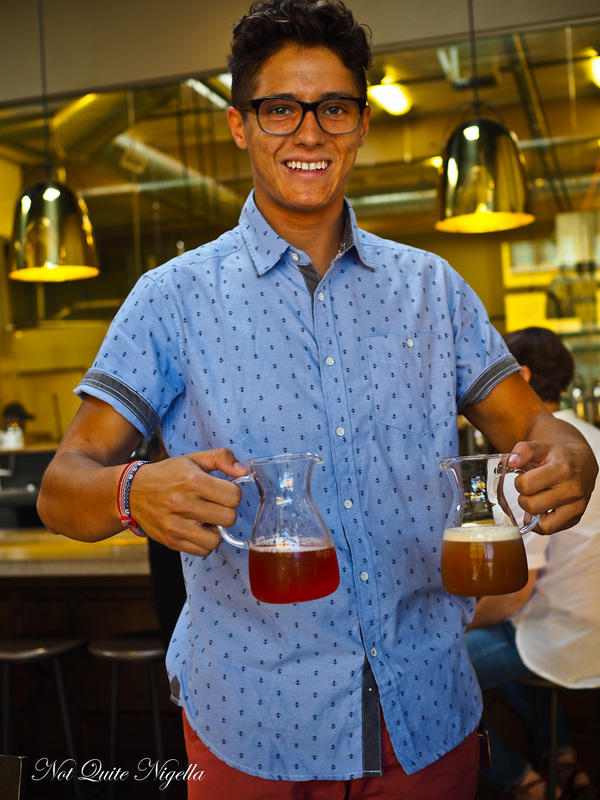 They bring over two jugs of iced tea: the first is a sparkling strawberry honeybush tea that is carbonated in the keg. It takes 3 days to infuse this and it is delightfully summery with just the right amount of sweetness to it. Next is a cold nitro chai that they run through a nitro tap. This adds a creamy texture to the iced chai without adding any dairy. 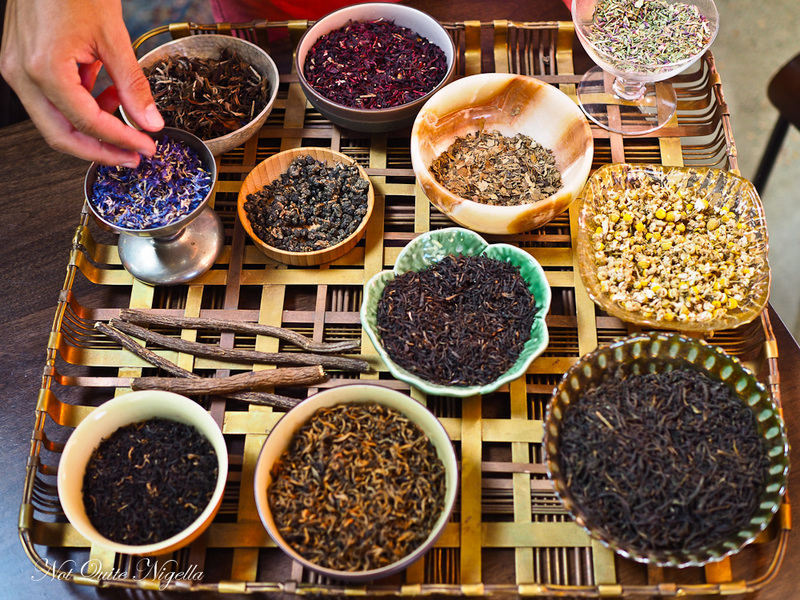 Smith has now passed but he was once known as the man who got the FDA to approve the "the mumbled chantings of a certified tea shaman" as an ingredient in his teas-something that the USFDA had never approved of before (once Starbucks bought the tea brand they removed it). The teas really are wonderful and we were given a few sachets of their tea and the quality is top notch-each tea bag lasts a few cups. 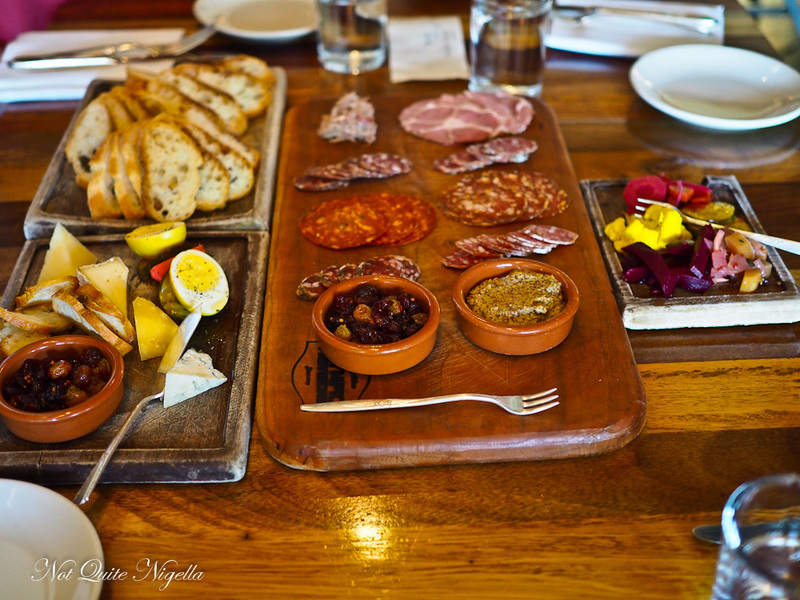 The next stop on the tour is Olympia Provisions for their charcuterie and cheese platter. There are seven types of salumi all made German style as the owner Elias Cairo apprenticed in Germany. It's a popular brunch spot too. 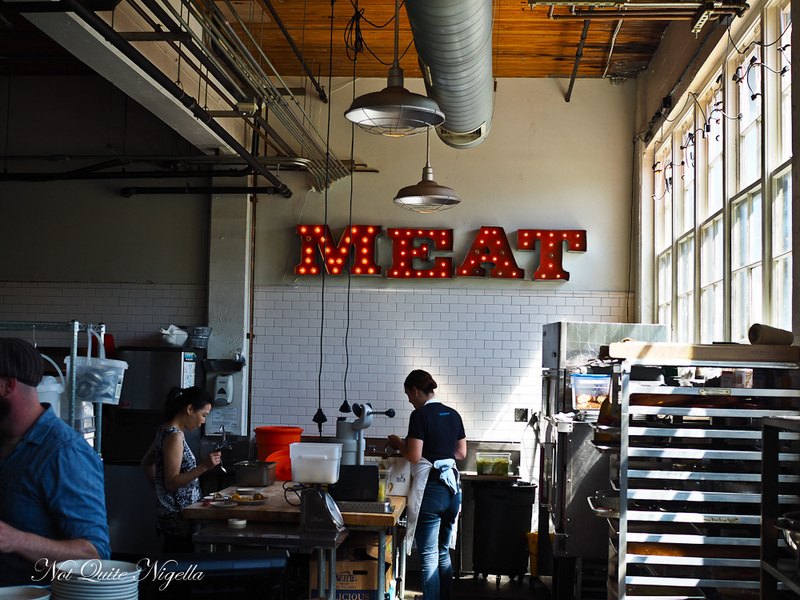 All of their meat is from the Pacific North West and we feast on D'alsace, Capacolo, capri, salchichon, Nola, El Ray (my favourite) and noisette where they use hazelnuts (Oregon is the nation's top hazelnut growing state). The fabulous cheeses range from blue de Brebis, Everton Reserve, Brie Hermier and Hannah from Portland's Ancient Heritage cheesemakers made using cow and sheep's milk. These come with fantastic pickles and spreads. Laura then takes us on our walk which is the longest walk of the day, around 30 minutes in total and points out various restaurants and sights. 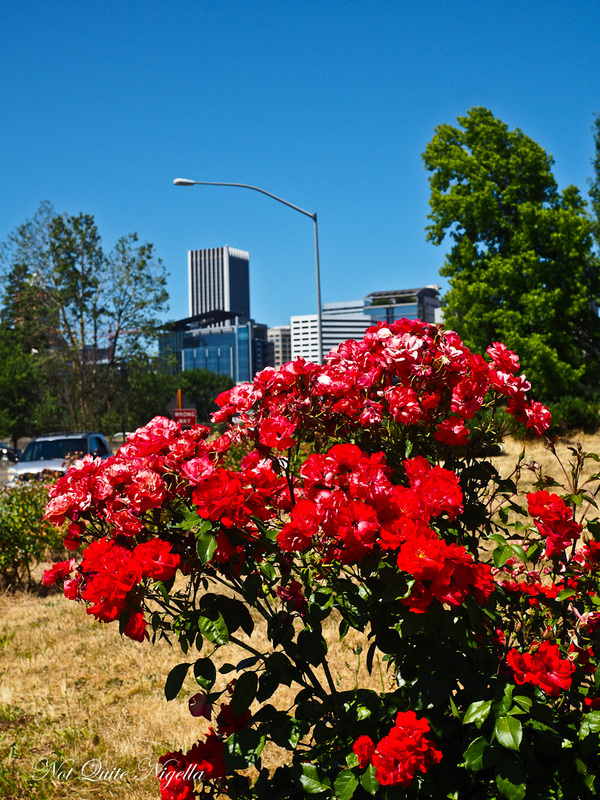 Along with being called Stumptown and Rip City Portland is also known as the "city of roses". 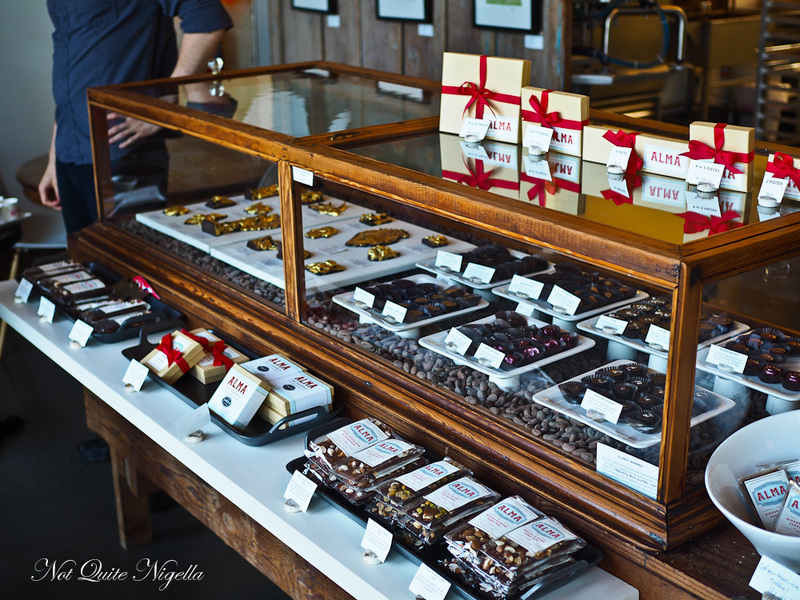 Our next stop is Alma chocolates, a business borne out of founder Sarah Hart's frustration as she was unable to source good quality Easter basket chocolate. Apparently all that was available at the time was sugary, waxy chocolate so she imports all of her chocolates to mold them. We get a little tasting of chocolate and we progress from the 33% white chocolate to the 44% milk chocolate which is produced entirely in Ecuador with all Ecuadorian ingredients. 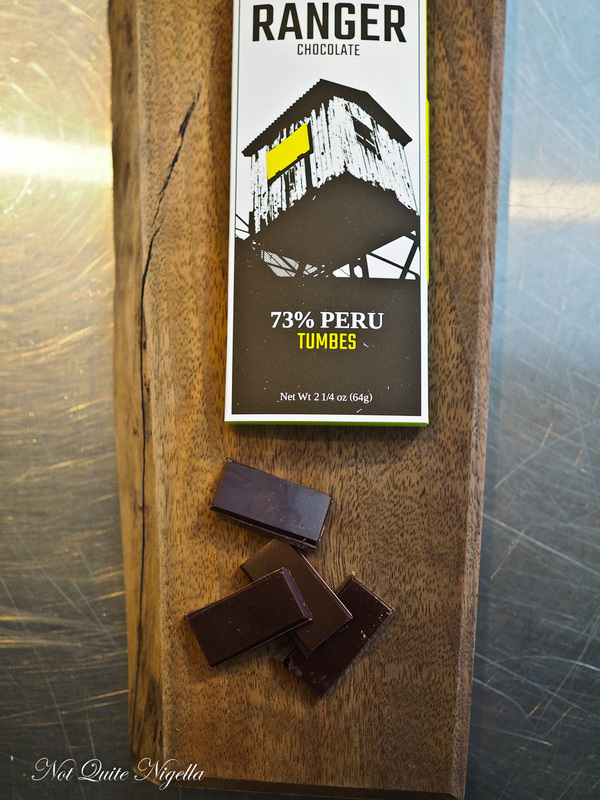 We then move onto the 68% chocolate which is made with a wild foraged chocolate cocoa from Bolivia. Then we try the 74% chocolate which is more bitter but smooth. 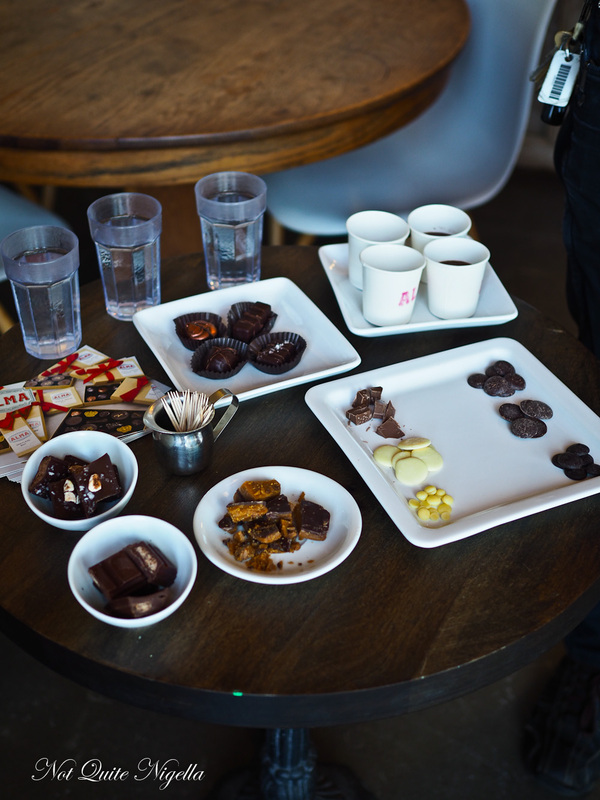 We sample the 68% drinking chocolate and then a range of truffles including a salted lavender, bourbon, coffee and a classic dark. My favourite one is the hazelnut sea salt chocolate bar as well as the pistachio toffee chocolate because of the crisp crunch and balance of salt and sweet. 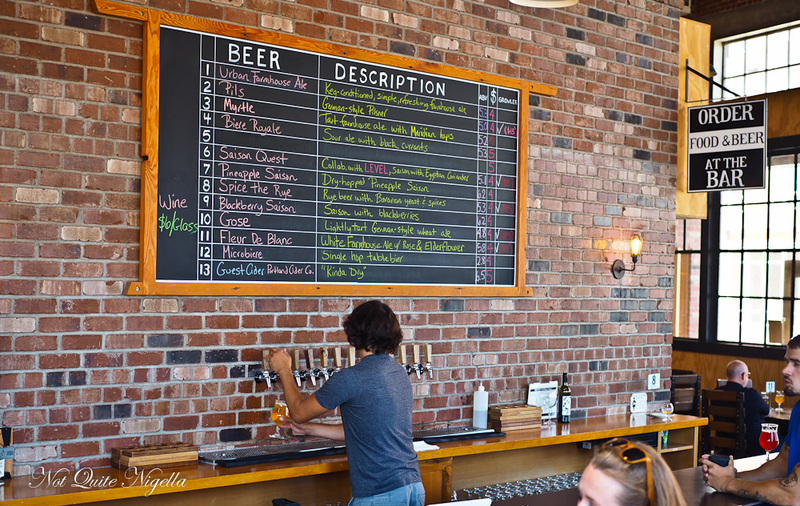 Our next stop is at one of Portland's 75 or so breweries. 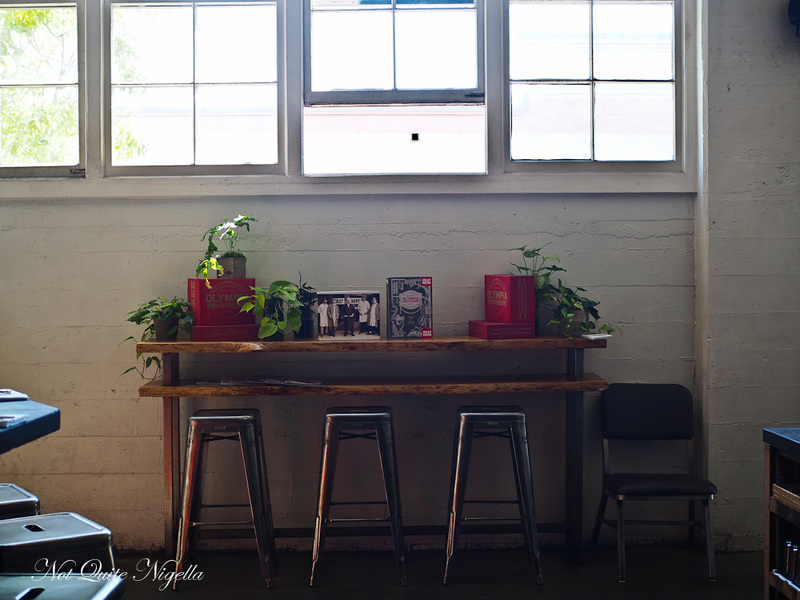 The Commons Brewery was started by three founders Josh, Mike and Sean who started small in a garage in SE Portland but have now grown to a large brewery on SE Belmont. The beer they make is different from a typical North West beer-it's Flemish or Belgian style beer that is more yeast forward and less heavy on the hops. Their ethos is to make easy drinking beer with moderate alcohol and their slogan is "Gather around" as it's a more social drink. 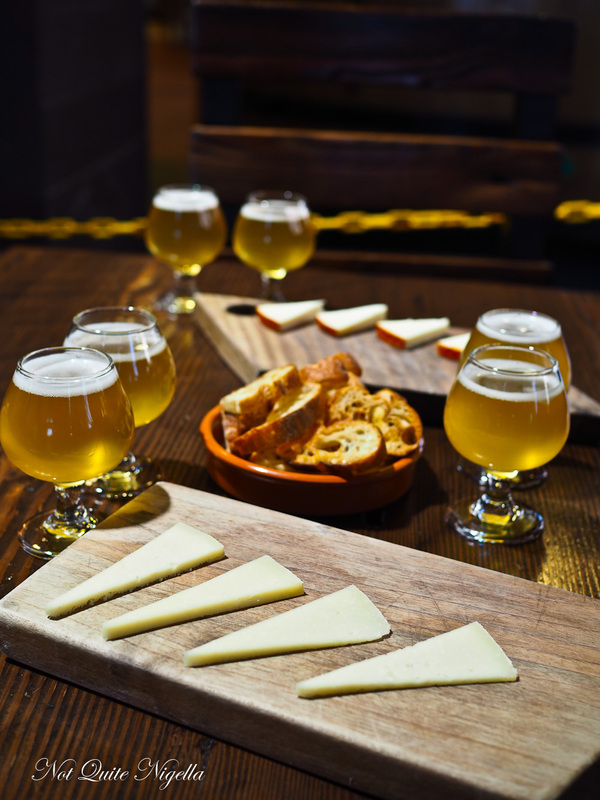 Their first beer is an Urban Farmhouse ale which they pair with the Hannah cow and sheep's milk cheese. but I love the Gosa beer, a beer that was almost extinct but American brewers revived. Originally it was made with water with a high salt content so it is crisp and dry. Here they use red sea salt and the Gosa has an almost champagne like quality which I really like especially paired with the Pimentino goat's cheese from Spain. 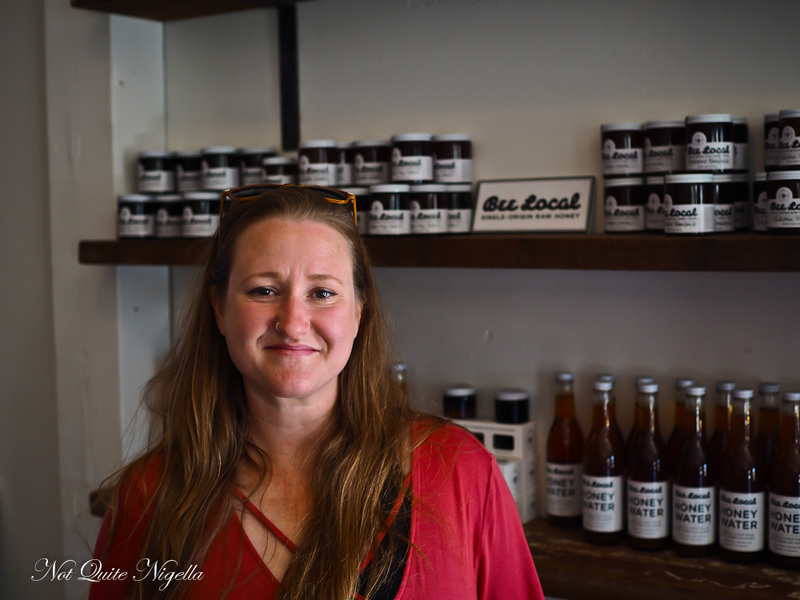 Our final stop with Laura is another combination of brands in one spot-Portland is big on artisan collaborations and often food businesses will work together to great effect. When Ben Jacobsen founded Jacobsen salt, there wasn't much good salt on the market. So he went to Netarts Bay in Oregan where he found that the area had oyster beds which meant clean water. He carted back buckets to dry out and now they sell everything from rock salt, kosher salt to flake salt as well as a large range of infused salts. 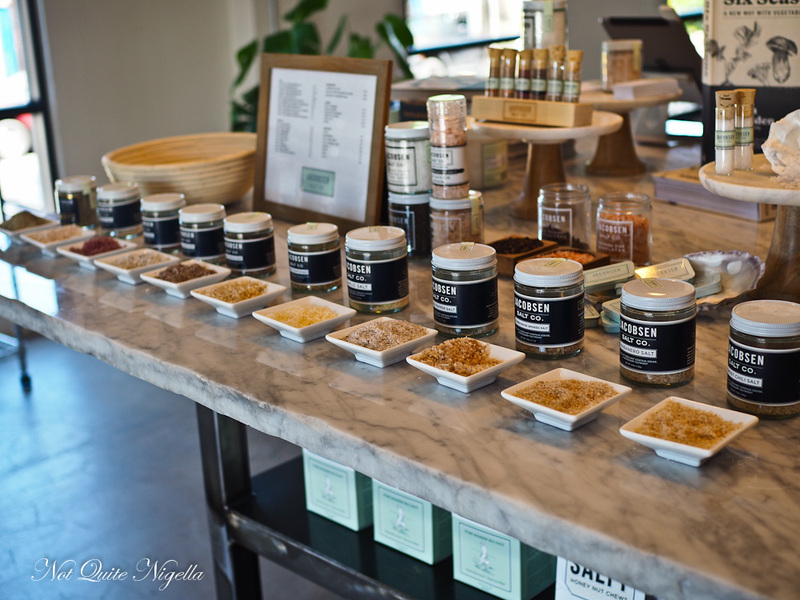 All of the salts are infused during the drying process (the black garlic is fantastic) and you can try them all. The Bee Local brand next to it was started by Damian Magista who placed beehives in area all around Portland. 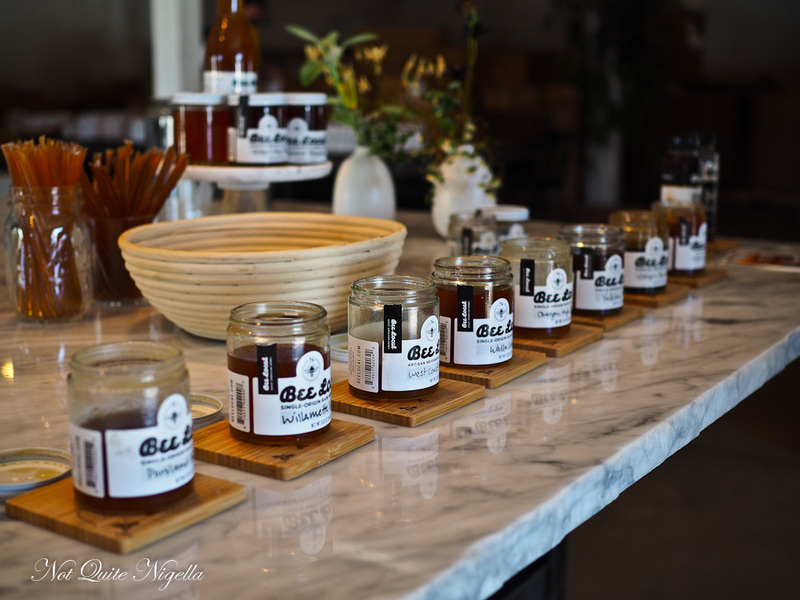 All of the honeys are raw and local and each honey has a distinct taste based on what is being grown in the region. Apart from honeys they also make a range of sauces including scorpion chilli and a smoked cherry wood honey that would be great on pork ribs just to finish them. We leave the tour with a little pocket packet of salt and a packet of honey straws! So tell me Dear Reader, have you ever heard of sound waves being used instead of glue? Do you like beer that is more hoppy or more yeast forward? And when you visit a new city do you often take a food tour?